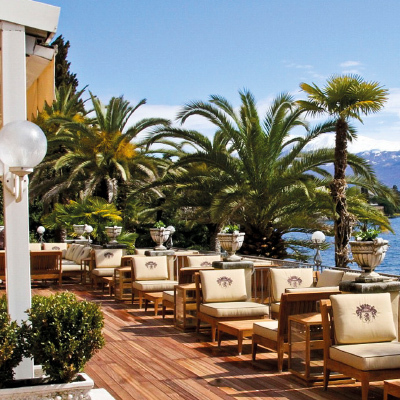 Grand Hotel Fasano can be found located on the banks of Lake Garda. This five star hotel offers an abundance of traditional character, natural charm, and it’s beautifully situated in amongst the greenest natural foliage and trees with a wonderful mountainous backdrop. Lake Garda is simply stunning, and there is a real sense of seclusion being surrounded by this vast lake. The hotel has a small pier with steps leading down to the lake itself, I had to make use of this and decided to take a swim in Lake Gara which is a memory I shall not forget, and one I would happily repeat. 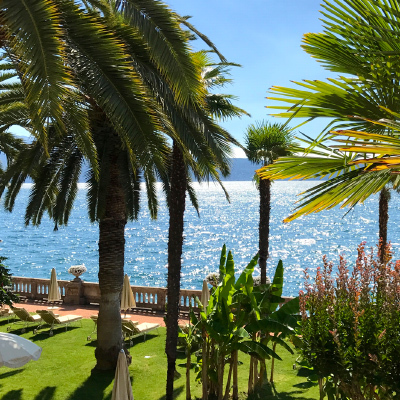 During our stay, we experienced one of their Superior Rooms, the room was spacious and well presented, and had a lovely airy feel, largely due to the large French doors leading out to a small balcony overlooking the grounds and the impressive Lake Garda. The views from the balcony were really quite breathtaking, be it first thing in the morning when the sun is rising, or the last thing at night as day turns to night, it’s the perfect setting for a relaxing pre-dinner drink. 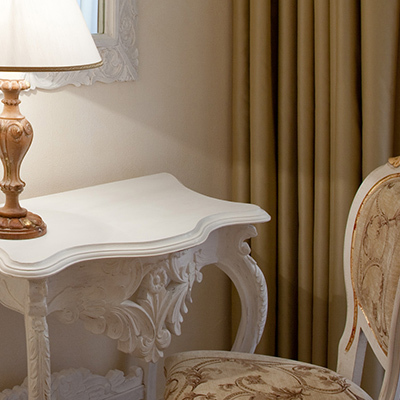 The rest of the room was immaculate, and the elegant decor and pieces of furniture were most fitting. The choice of beiges, cremes, and whites worked perfectly together and the large king size bed was most inviting. We often woke to the gentle sounds of staff raking the leaves away for the day ahead. Not a complaint, a sound we remember fondly. 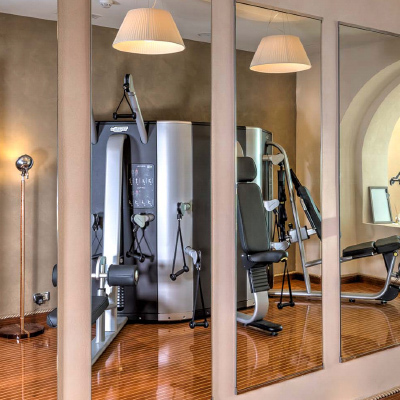 If you explore the rest of the hotel you’ll discover their Wellness Center and Aqva Spa, along with their indoor and outdoor swimming pools. 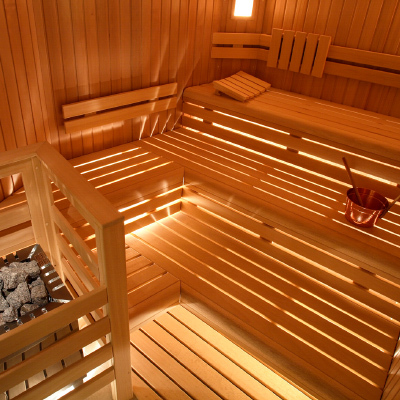 So, if you’re looking to be pampered you can choose one of their wonderfully relaxing spa treatments, spend some time in the sauna, or enjoy the views while swimming in their outdoor pool. Each was a joy to experience for us and we recommend indulging. There is a number of dining options to consider, their fine dining restaurant is called Il Fagiano. Here you’ll find creative dishes staying true to the traditional cuisine from the region, and if you are visiting in the summer months you can spend the evening dining on the terrace. We also recommend stopping at La Terrazza, which is a terrace bar with an impressive list of wines and cocktails. Here you can enjoy a pre-dinner drink while taking in the views over Lake Garda as the sun sets. 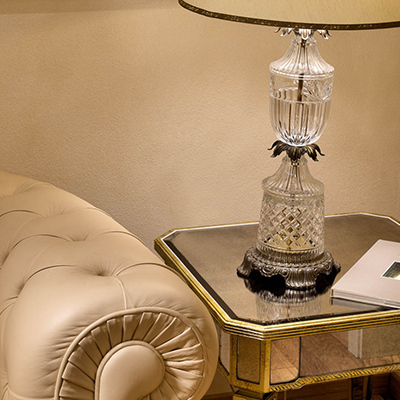 The staff are a credit to the hotel, they made us feel welcome the moment we arrived, and were on hand to help whenever we needed it, and it was obvious they have a sense of pride about working in a historic hotel like Grand Hotel Fasano. We thoroughly enjoyed every minute of our stay. If you’re looking for an experience in a truly idyllic location surrounded by natural beauty, we would have to recommend Grand Hotel Fasano.